Our Summer Standouts series highlights Young’s Plant Farm’s top picks for summer-loving annuals. Each variety thrives in the most intense conditions and blooms vibrantly all season long. Whether they’re planted in landscape beds or container gardens, heat, drought and high humidity are no match for these standouts! 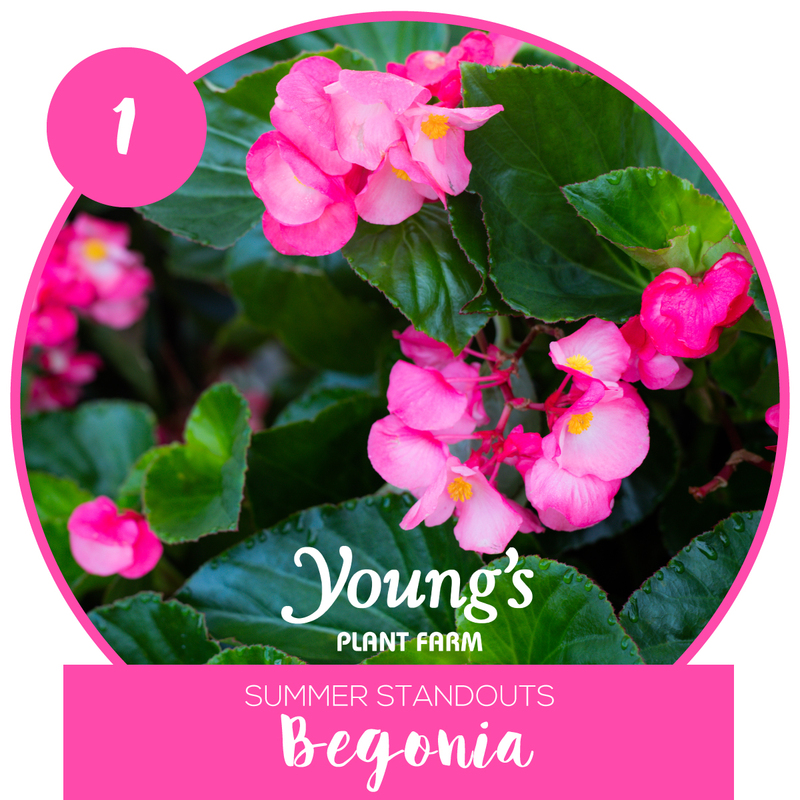 Low maintenance and easy to grow, Big Begonias come in multiple colors. 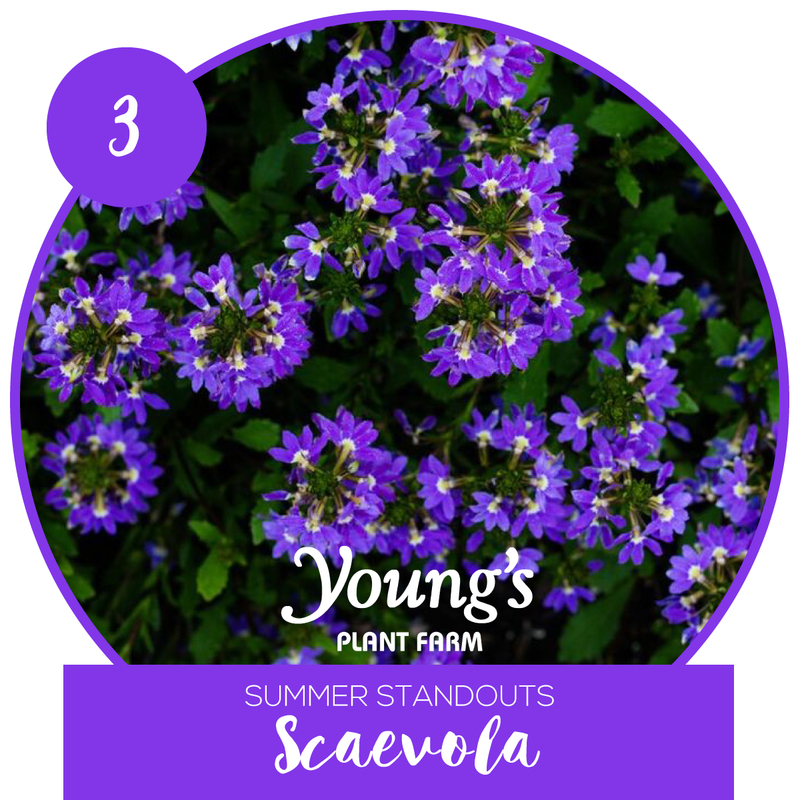 This Summer Standout grows well in sun or shade. They perform well in both containers and garden beds, blooming continuously from summer to fall. They are heat tolerant but do not like to be too dry, so be sure to keep them watered. Gerbera Garvinea is a unique hybrid that produces an abundance of cheery, daisy-like flowers. 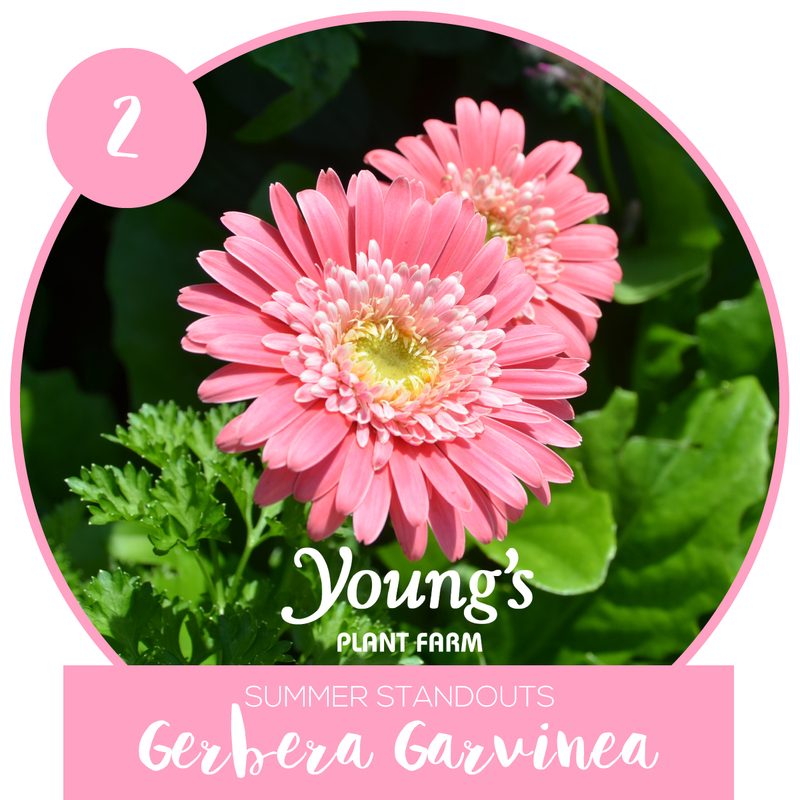 Traditional gerbera varieties tend not to grow well in summer heat, but Garvinea are bred to perform well through the hottest part of summer. With minimal care, this hardy Summer Standout produces brilliant blooms from spring till first frost and in partial or full sun. Try Garvinea in landscape beds or containers for a burst of vibrant color. Ideal for hanging baskets, window boxes and containers or landscape beds, trailing Scaevola produces blue, pink or white fan flowers. Contrary to its delicate appearance, this Summer Standout is heat tolerant, disease resistant and low maintenance. It even self-cleans, meaning no deadheading necessary. 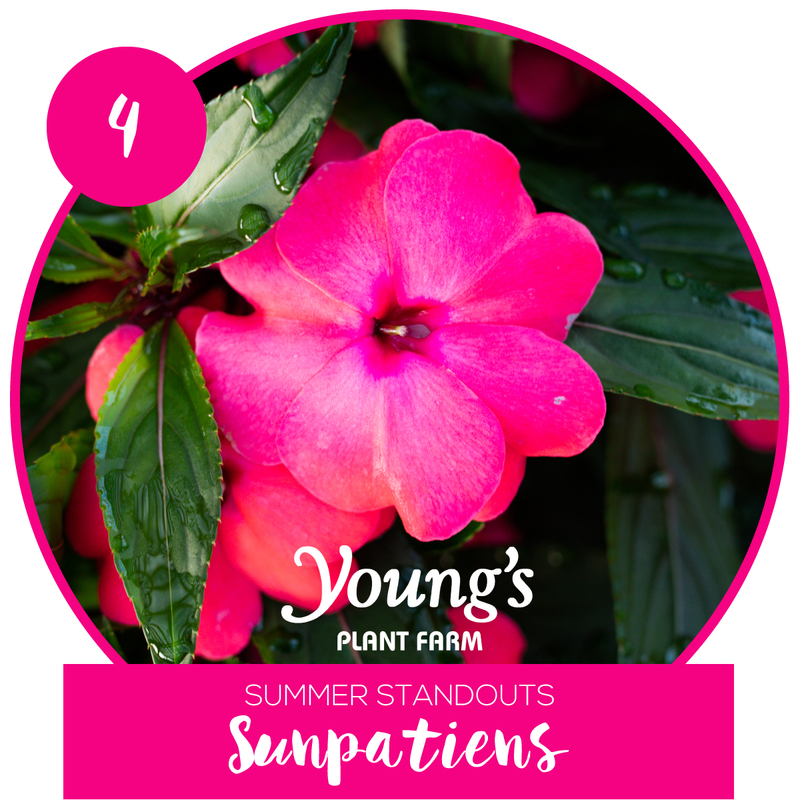 An ultra heat and humidity-loving impatiens hybrid, SunPatiens flourish almost anywhere. Whether in baskets, pots or garden beds, this Summer Standout yields lush, striking blooms from spring until first frost. Few varieties tolerate brutal summer conditions with such vigor and vibrancy. Annual Vinca is as versatile as it is pretty. With crisp petals and leaves so glossy they look almost artificial, this Summer Standout requires minimal maintenance to bloom beautifully all the way until fall. 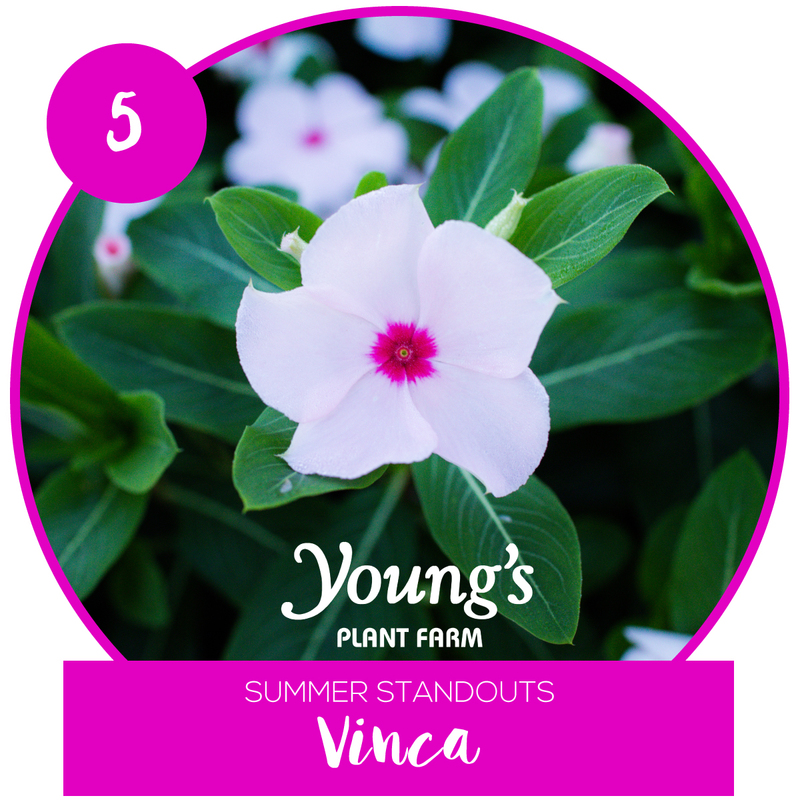 Vinca grows in a variety of colors from white to red and performs well in containers or as ground cover in landscape beds. Showstopping Caladium provide brilliant foliage sure to brighten any bed. With leaves shaped like hearts or arrows in radiant combinations of green, white, pink and red, this Summer Standout is easy to grow for both experienced and novice gardeners. 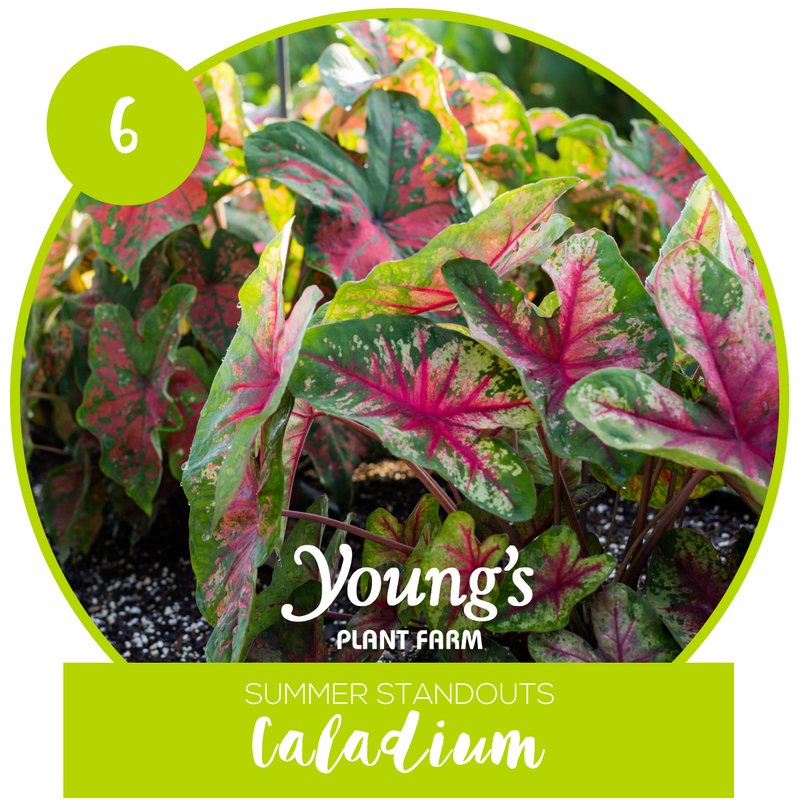 Although Caladium is typically known for loving shady spots, some varieties can handle direct sun as long as they get ample water. Try it beneath trees, among shrubs or in containers for gorgeous, colorful foliage. Lantana is a sun superstar. 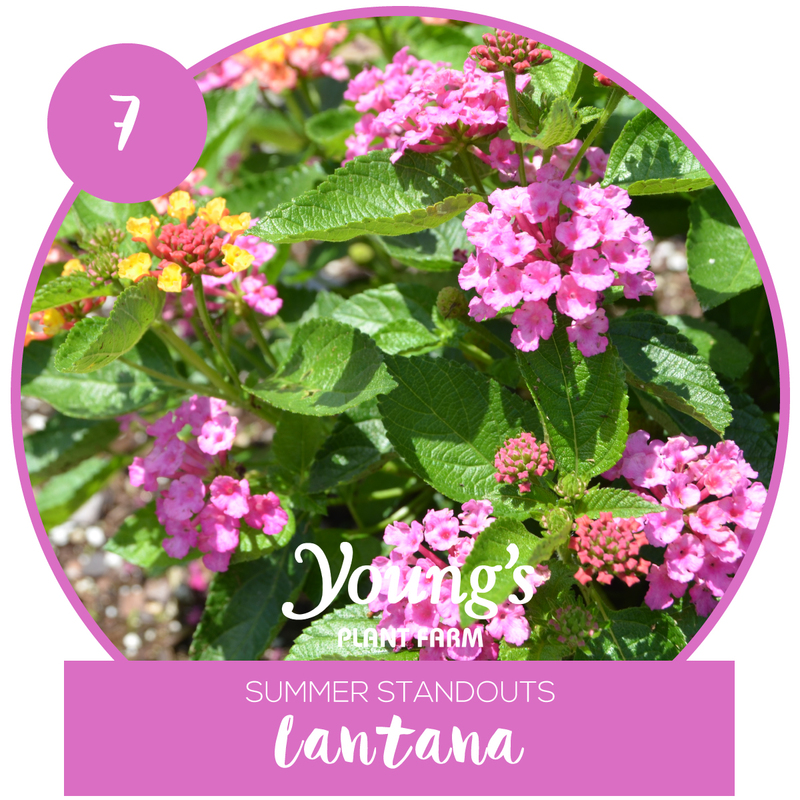 This Summer Standout thrives in the most intense sun conditions and produces plentiful candy-colored bundles of flowers, even with minimal waterings. Each flower cluster is actually comprised of florets, which vary in color depending on the specific variety. Deer resistant and drought tolerant, low-maintenance lantana works beautifully in containers or garden beds, where its sweet fragrance will attract butterflies and hummingbirds. 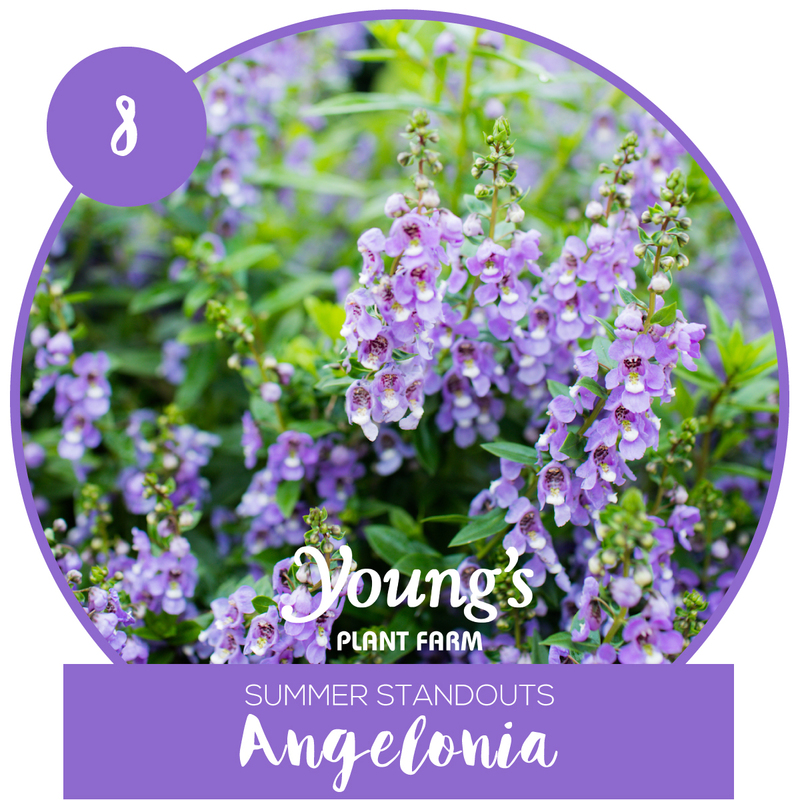 Drought tolerant and perfect for hot, sunny spots, Angelonia produces spikes of purple, blue, pink, raspberry or white blooms all summer long. This Summer Standout, also known as “summer snapdragon”, is a top choice by bees, butterflies and hummingbirds, too.